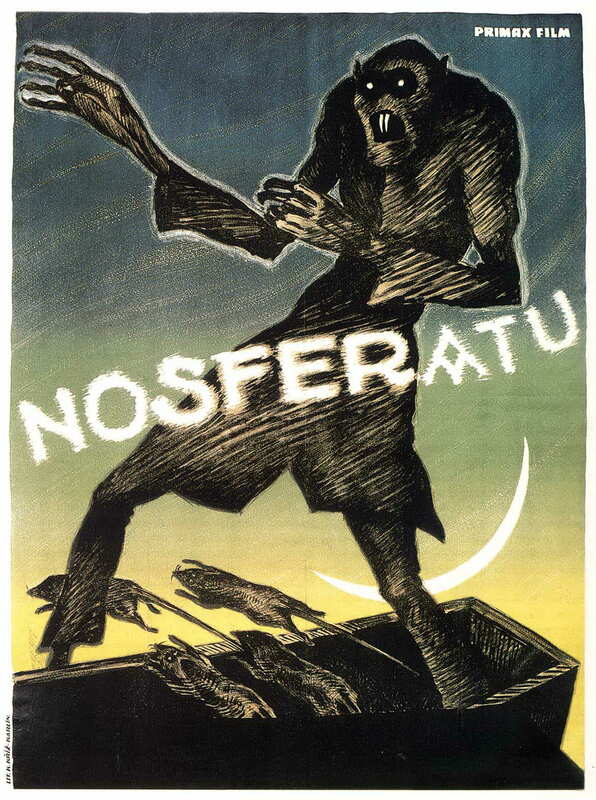 Nosferatu (1922) is the first loose adaption of Bram Stoker's Dracula. It is a silent film that has several name changes to avoid copyright and a location switch from England to Germany. Nosferatu is the story of Hutter who is sent by his boss to sell some property to Count Orlok. Hutter soon learns that the Count is more than he says and flees. Unfortunately, the Count comes to the small German village leaving plague and destruction in his wake. This film is a lot more silly than I remember. Transylvania is the land of thieves and phantoms? Casual racism! I'm sure the people that live there love that line. The werewolf is a hyenaand not the first out of place animal to appear in a Dracula adaptation. I also found the skeleton clock in Orlok's house to be a little on the nose. That said, for its time there is a remarkable use of the limited effects. Sadly the story is a bit lacking. Hutter looks like a high overly happy idiot for most the film. Jonanhan Harker of the book he is not. He just doesn't do anything except be happy and play the victim. Ellen is our swooning love interest(our Lucy & Mina combination). She becomes enthralled by the vampire, but Orlok doesn't do much about that either until later in the film. She is also not a good substitute for Mina as she lacks the agency to do things on her own or prepare for what she soon learns is coming. Even when she does her small part, it still seems forced upon her and not like something she intended to do. Knock acts as our insane man under the vampire's spell (Renfield from the novel) and is Hutter's greedy boss. He is played over the top like the others and lacks the strange moments of sanity that his novel counterpart had. Count Orlok is legitimately strange and creepy. He lacks some of the menace Dracula provides, but he does have some great looks and a real alien presence. There are obvious day for night shots which really couldn't be helped for the time period, though the one actual dark shot stands out and makes all the other shots look more silly. Despite this, the location work is great and really helps sell the story. We are transported from London to a tiny German village to fit the German production. One of my favorite things about this film is the use of shadow in Orlok's power. They clearly didn't have the budget for fog or storms or trained wolves or bats. So, in a genius move, they use his shadow to creepy effect and display most of his vampiric abilities through it. It is something that I think should be emulated more. And not just the stair scene that every parodies. An abundance of time is taken up by the ship and the deaths on it, which doesn't add too much to the plot. Also, the book which explains what a vampire can do in melodramatic terms is a bit contrived, but passable. 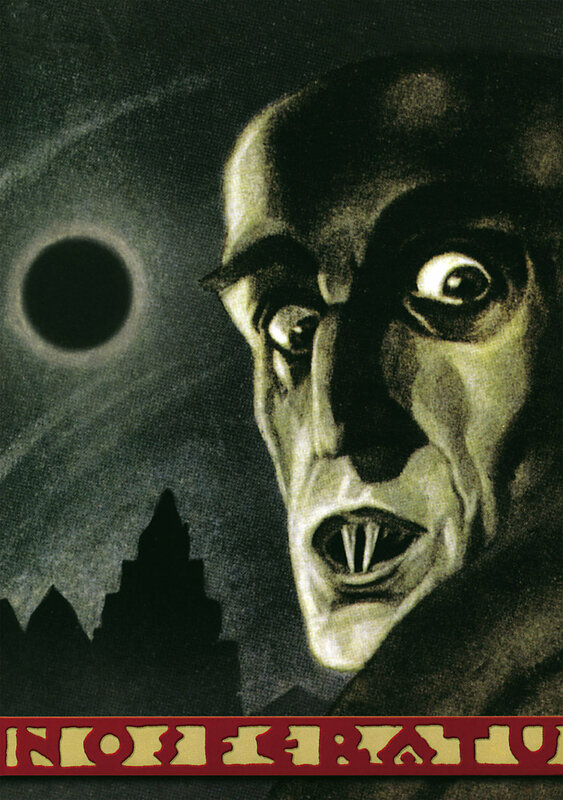 The idea of vampirism as plague is interesting and is something explored by later vampire media. A classic that has not aged well at all. It spends a lot of time on elements that just seem to fill time: the ship, the plague, chasing Knock around. It is remembered for its great shots and imagery, but largely ends up as a watered down and simplified version of the Dracula novel. You should check it out if you're interested in film history or silent films.